ECOWAS ministers in charge of agriculture met on 6 June 2018 in Ouagadougou to adopt a series of recommendations to support vulnerable populations during the lean season. They took measures to operationalise the Regional Food Security Reserve and further develop its governance structure. 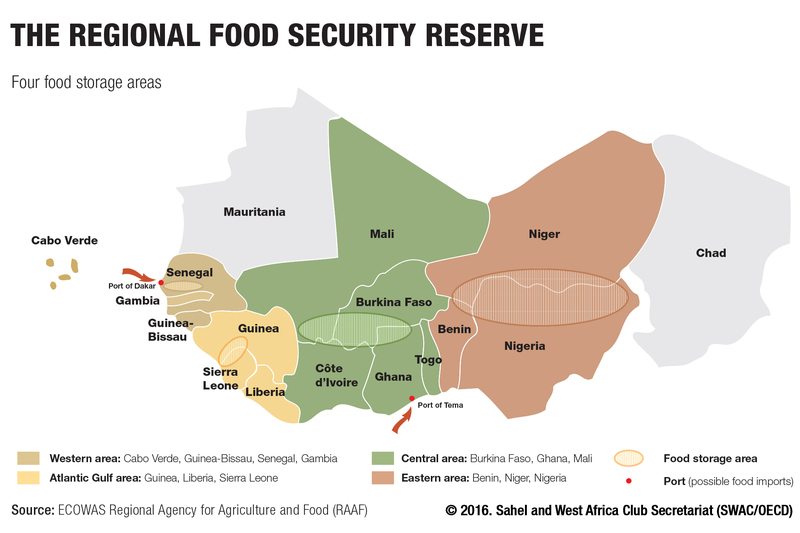 Drawing on recommendations of the Food Crisis Prevention Network (RPCA), Burkina Faso, Cabo Verde, Mali, Niger, Nigeria and Senegal are eligible to submit formal requests to ECOWAS in order to benefit from country support operations. However, the physical storage capacity of the reserve remains low. Some 26 000 tonnes of cereals are currently stored via national storage systems in Burkina Faso, Ghana, Mali, Niger and Nigeria. Moreover, the precise modalities for the use of the regional stocks still need to be fine-tuned in order to ensure the sustainability of the reserve as a regional solidarity tool. Experts recommended that members set-up a grain-by-grain reimbursement system and are asking ECOWAS to use the community solidarity levy to replenish the regional reserve after country-support operations. A steering committee will be set-up to manage the reserve’s resources. The region’s agricultural ministers also discussed the formulation process of national agricultural investment plans (NAIP-FNS). While some countries have made good progress, others still have yet to creat their own plans. The plans will include resource mobilisation programmes based on six components. The fifth component focuses on how to strengthen food and nutrition security, resilience and social protection. ECOWAS will hold a regional meeting in October 2018 to take stock of the overall process and prepare for a regional business meeting during the first quarter of 2019.